One mid-woofer and one tweeter ensures you’ll hear the faithful playback of mid-range vocal frequencies plus deep, rich bass. One 10/100 Mbps Ethernet port. 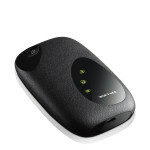 Wi-Fi network with any 802.11 b/g, 2.4 GHz router. AUDIO STREAMER supports MP3, WMA Internet radio streams and iTunes libraries (Apple Protected audio files are not supported). AirPlay 2 compatible. Amazon Alexa voice control built-in. For help on radio streams read my post on streaming URLs. Superior sound quality. Easy set up. Works well with Spotify and iTunes libraries. 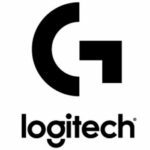 No native Bluetooth® support. Needs use of Tablet, Smartphone, PC or Mac Applet to operate. 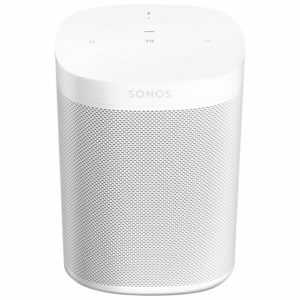 Automatic update of MacOS Sonos Controler App may not work properly. Posted by bioss at 10:13 pm on December 25th, 2018. Categories: support. Tags: audio, SONOS. Synology can connect to the Internet through the OpenVPN protocol. for NordVPN follow these instructions. Once the profile is created you can enable the connection. Posted by bioss at 6:03 pm on February 26th, 2017. Categories: support. 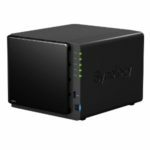 Tags: synology, vpn. 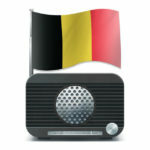 Radio streaming URLs are used by audio streamers and may change over time. it may become unavailable at the broadcaster’s request, due to geographical restrictions, or commercial reasons. 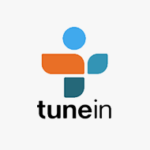 In case of doubt, go to the TuneIn’s web site and search for the radio station to check if it is still supported by a TuneIn URL or it has been discontinued. If the radio station has been discontinued by TuneIn, you will need to add the URL manually to your audio streamer. Beware of the accepted audio formats (mp3, wma, and AAC) and the playlist file extensions (m3u and pls). 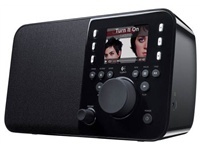 Sonos devices play streams in mp3, wma, and AAC formats. Pls file extensions work on Squeezebox devices. 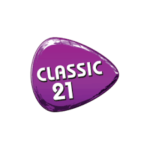 New Radio Streamingslinks since August 31, 2107. Categories: support. 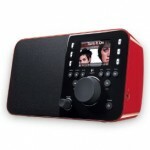 Tags: audio, Squeezebox. 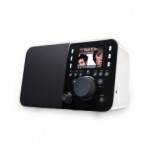 The PPTP (Point-To-Point Tunneling Protocol) Server allows to connect securely from a remote location and is built in the DD-WRT firmware (Firmware Version: DD-WRT v24-sp2 (10/06/14) kongac – build 25015M-SP1). The VPN Server setup is very straightforward and well documented on the dedicated DD-WRT pages. Works well on the Netgear R6300 V1 model. The remote connection works well on MacOS. iOS 10.0.2 on the iPad and iPhone no longer offers the PPTP VPN client protocol. Bear in mind that your ISP router may need port forwarding enabled (see related post). If your ISP uses dynamic IP allocation, you may consider to use a dynamic DNS service on your router (read the DD-WRT pages). Categories: support. Tags: DD-WRT, vpn. 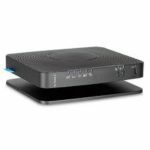 The B-box modems are used by Belgacom to support the triple play service offers (telephone, TV and Internet). The Belgacom b-box 3 supports seamless VLAN integration. All four LAN ports can be used for Internet connections or decoders. 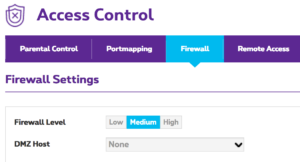 The administration menu is very restricted and gives very limited control of the router through the user profile login. Check the online documentation published by Belgacom. Any server installed behind the B-box router will remain unreachable from the Internet unless you configure the firwall (open ports) or use the port forwarding. Here is how you make a VPN Server reachable through the B-box 3. 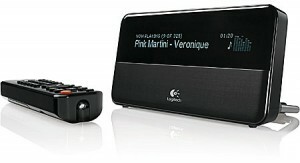 Login as user to your B-box 3 router (see instructions published here). Select the Access Control Menu item. Choose Portmapping and Create a new portmap. Select in the Service menu ‘PPTP Server‘ and enter the Internal host IP Address. Confirm with OK to save the settings. Categories: support. Tags: b-box, vpn. The DD-WRT firmware Version v3.0-r30082 includes VPN Client support. These are the steps that did the job to use the PureVPN client. Other clients like the vyprVPN or the ExpressVPN client may work as well. Logon to the router and first make a backup of your current configuration (go to the Administration tab and select Backup). 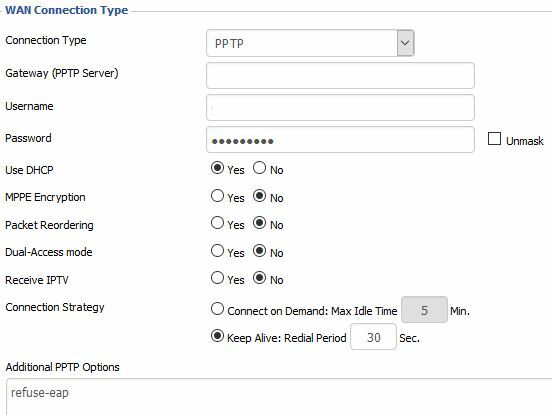 Change the WAN Setup (from Automatic Configuration – DHCP) to “PPTP” protocol. “Username” enter the username provided by PureVPN (not your email address). “Password” enter the password provided by PureVPN. “Additional PPTP Options”: write “refuse-eap” in the option box. click “Apply Settings” and then hit “Save”. Note that PPTP Passthrough may need to be enabled to make some VPN Clients work correctly. 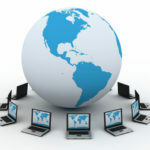 Be aware that the use of the VPN Client may drastically reduce the throughput on the Internet. To revert to its previous value or disable the use of the VPN, ‘reset’ the WAN Connection Type setting. (e.g. 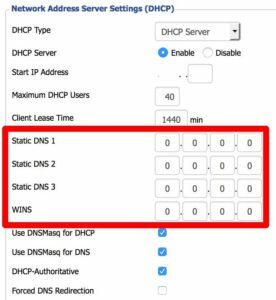 “Automatic Configuration – DHCP”). Posted by bioss at 1:07 am on August 13th, 2016. MyPhoneExplorer is a free backup/restore/synchronisation tool for Android phones. Posted by bioss at 3:18 pm on January 2nd, 2016. Spain is notorious for its high internet tariffs. 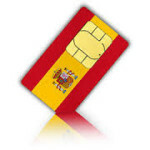 If you are staying on the Canary Islands without a free wi-fi service available, you may opt for a prepaid sim card. For convenient concurrent access with laptops, tablets and smartphones, you can install the sim card in a 3G router, like the TP-LINK 3G Mobile Wi-Fi Modem. Categories: support. Tags: telecom, TP-Link.